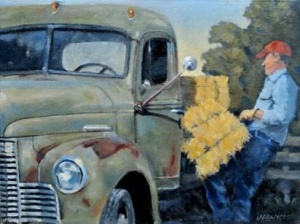 The MALT (Marin Agriculture Land Trust 20th Anniversary Ranches & Rolling Hills Art Show & Sale is happening this coming weekend, May 20th & 21st on the Village Square in Nicasio. The exhibit is open from 2-5pm on Saturday and 10am-4pm on Sunday. Oh, and by the way, half the proceeds from sales go toward future MALT land easements. So, not only will you be adding value to your home with stunning art, you will be protecting and preserving the beautiful farmlands in Marin.